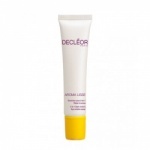 Decleor Aroma Lisse Energising Smoothing Cream SPF15 is an all-in-one illuminating cream to protect the skin and reduce the appearance of fine lines.This light and illuminating cream protects the skin from environmental aggressions, UVA and UVB rays. Galanga Extract helps to enhance the skins Hyaluronic Acid production to smooth and reduce fine lines while Ginseng Extract instantly tones and visibly brightens the skin, eliminating signs of fatigue. The result is smoothed, supple, wrinkle-free skin with long-lasting protection and a flawless, radiant complexion. 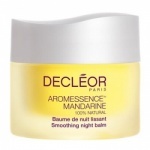 When paired with Aromessence ™ Mandarin Super Serum as part of an Aroma Duo, 94% of testers saw smoother skin*. Suitable for skin showing the fist signs of ageing.